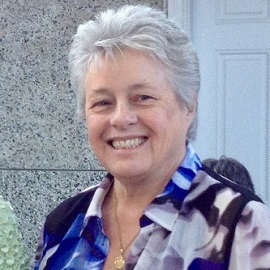 Carol Bruneau has been with Portland Community College for over 26 years. She was the Program Coordinator and Faculty member for the Emergency Telecommunicator Program in 1990, taking over the new program at the beginning of its second year. She has been the Department Faculty Chair since 1993, and is the Academic Advisor for PCC’s Emergency Management Program. She arrived at PCC with 18 years of experience in the field of emergency telecommunications in a variety of communications settings. She was a Dispatcher/Dispatch Trainer/Law Enforcement Data System Representative and the department’s first civilian Communications Supervisor, during her ten years with Milwaukie Police Department. Carol received an Associate Degree in Criminal Justice from Clackamas Community College, a Certificate in Management and Supervision and a Certificate in Emergency Management from Portland Community College. Carol also holds a National Executive Certification with the National Academy of Emergency Medical Dispatch, a DPSST Instructor Development Course Management Certificate and is on the Board of Directors for the National Emergency Communications Certification Program. She completed training as a Psychological First Aid (PFA) Provider and subsequently became a PFA Trainer. Carol is also developing curriculum for Bolante.NET in Stress Management and Crisis Intervention for workshops and community presentations.